As per the exit polls, Chandrasekhar Rao's TRS is expected to sweep Telangana whereas, Congress is likely to come out victorious in Rajasthan keeping the 25-year-old tradition alive. Exit polls have suggested a close contest between the Bharatiya Janata Party and the Congress in Madhya Pradesh and Chhattishgarh. For Mizoram, it's a very close call between the ruling Congress and the Mizoram National Front (MNF). In Telangana, Chandrasekhar Rao's TRS is expected to retain power whereas, Congress is likely to come out victorious in Rajasthan keeping the 25-year-old tradition of the ruling party losing alive. 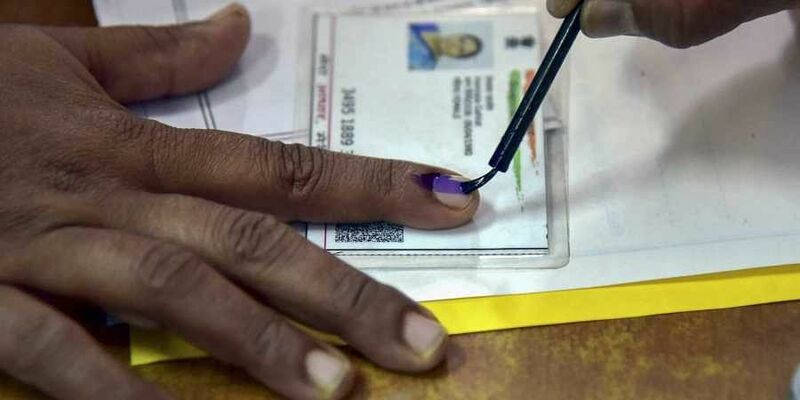 The five states, Chhattisgarh, Mizoram, Telangana, Madhya Pradesh and Rajasthan went for the polls between November 12 to December 7. The counting will take place on December 11. Times Now-CNX projected a clean sweep for the ruling Telangana Rashtra Samiti with 66 seats in the 119-seat Assembly. It gave 37 to Congress and 7 to BJP while others were given 9. In Rajasthan, two exit polls predicted a clear edge for the opposition Congress. While Times Now-CNX gave Congress 105 seats in the 200-member Assembly and 85 to BJP; India Today-Axis My India predicted 119 to 141 for the Congress and 55-72 for the BJP. On the other hand, the Republic-C Voter poll gave Congress 81-101 and 83-103 to the BJP. Republic TV-Jan ki Baat poll predicted 95-115 for Congress and 108-128 for BJP while others got 7. India News MP-Neta has predicted 112 seats for Congress, 106 for BJP and 12 for others. Times Now-CNX predicted that the ruling BJP would retain power with 46 seats, which is a majority. For the Congress, it predicted 35 seats and 7 the BSP and its ally. India TV too predicted 42-50 seats for the BJP and gave 32-38 to the Congress. It predicted 6-8 for BSP and 1-3 for others. A single exit poll by Republic TV- CVoter shows a hung house in Mizoram with 14-18 seats going for Congress and 16-20 to MNF.